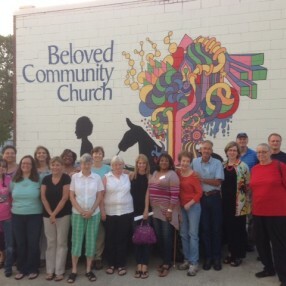 Beloved is a diverse, welcoming, grace-filled community. We offer sanctuary for people who have not felt at home in traditional churches. Folks from all walks of life come together to grow in relationship with one another and with God. We seek healing and wholeness for ourselves, our city and our world. 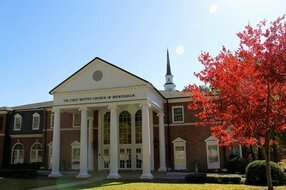 We are an Open-and-Affirming Congregation of the Southeast Conference of the United Church of Christ. At Beloved Community, we invite you to come as you are, be who you are, and grow toward who you were created to be. Find healing and hope in the message, music, and mission of this extraordinary multiracial congregation that celebrates all people as precious children of God. This is God’s house, and that means it’s your house. Worshipers are treated to an eclectic mix of jazz, soul, black spirituals and old-timey hymns with a jazzy beat. During prayer time, we pass the mic around the chapel to allow anyone who wishes to share what is on their mind. We practice the "priesthood of all believers" and truly rely on volunteer leadership to pull off the service. The sermons from Rev. Angie will inspire you, lead you to new perspectives on the gospel, and show you how faith works in practice. Our community is diverse, grace-filled, and affirming of all people. We have young families, professionals, elderly people, folks with mental illnesses, people of all different abilities, ages, and walks of life. At Beloved you might find a homeless family sitting next to a doctor or a college professor sitting next to an artist who is struggling with schizophrenia. You just never know who you will meet at Beloved. Beloved believes that the essential component to leading a Christian life is to love God and love one another. We have a wide variety of theological perspectives and beliefs among our gathering. Check out our blog posts from members for some of the many different perspectives: http://bit.ly/1wg1Kc2 And check out our church covenant to see what we commit to doing when we join: With the help of God We will walk together In the ways of Jesus, Creating a community And striving for a world Where no one is an outcast And no one is a stranger, Where all people are Celebrated as precious children of God, Where we joyfully share With one another Hope for the living, Comfort for the dying, Dignity for those in struggle, And freedom to ask and to Seek and to grow more fully Into the persons We were created to be. Rev. Angie Wright is the pastor of Beloved Community Church, which she founded in 2000. 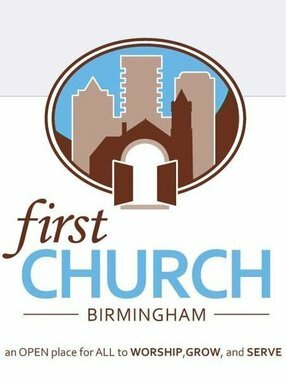 A bi-vocational minister, she also serves as the Associate Director for Greater Birmingham Ministries and as Chairperson of Alabama Coalition for Immigrant Justice. For over thirty years, Angie has been a leader in community and faith-based organizing for racial and economic justice. She served as the Associate Director of the Birmingham Center for Affordable Housing from 2000 – 2011 and as the Executive Director for Leading Edge Institute, preparing collegiate women to be leaders in social change, from 2007 – 2009. Angie was the Director of the Katrina Resettlement Program of Alabama, creating and managing a $19 million program serving over 2,000 families. From 1995 – 2000, she served as the Program Coordinator for the BEAT community revitalization effort in the inner-city of Birmingham. 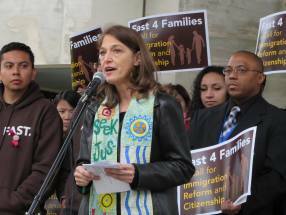 She was the co-founder of Alabama Arise, a statewide coalition of organizations which lobbies on poverty issues. From 1989 until 1993, Angie was the founder of Good Work Self-Employment Project and founding Executive Director of the Durham Affordable Housing Coalition, both in Durham, NC. Angie received her B.A. from Davidson College (N.C) in 1978, and her Masters of Divinity from Duke Divinity School in 1995. She was ordained by the United Church of Christ in 1997. Go here? Tell us why you love Beloved Community Church. Visited? Tell us what a newcomer can expect. 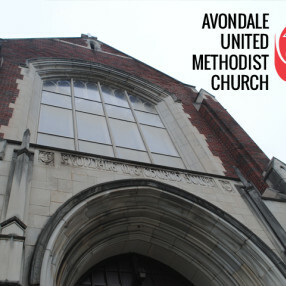 Enter your email address to receive an informative welcome email from Beloved Community Church.